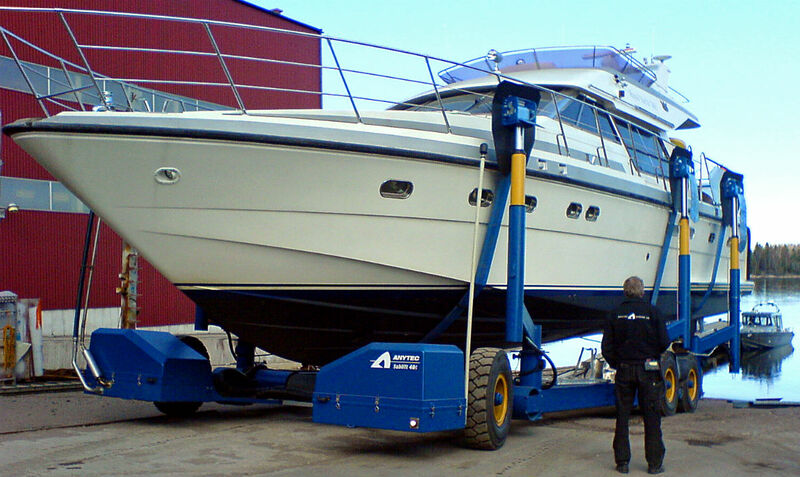 The SUBLIFT 40t is a tool for the marina who want to offer fast service to larger yachts and commercial boats. 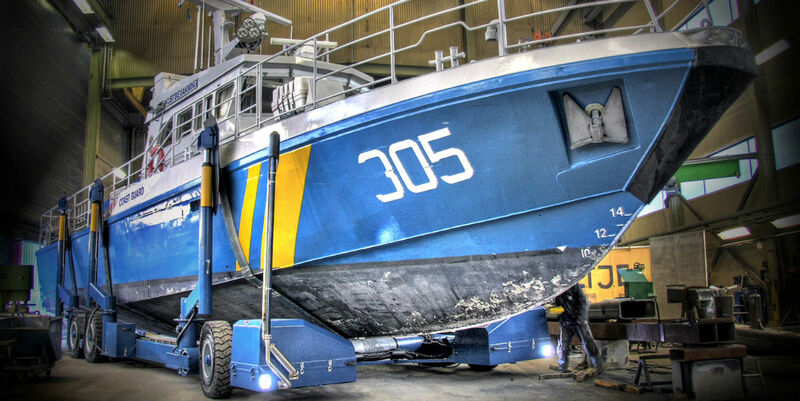 It is equipped with slings on three pairs of hydraulic lifting arms that can rotate to fit boat widths up to 6.4 meters. 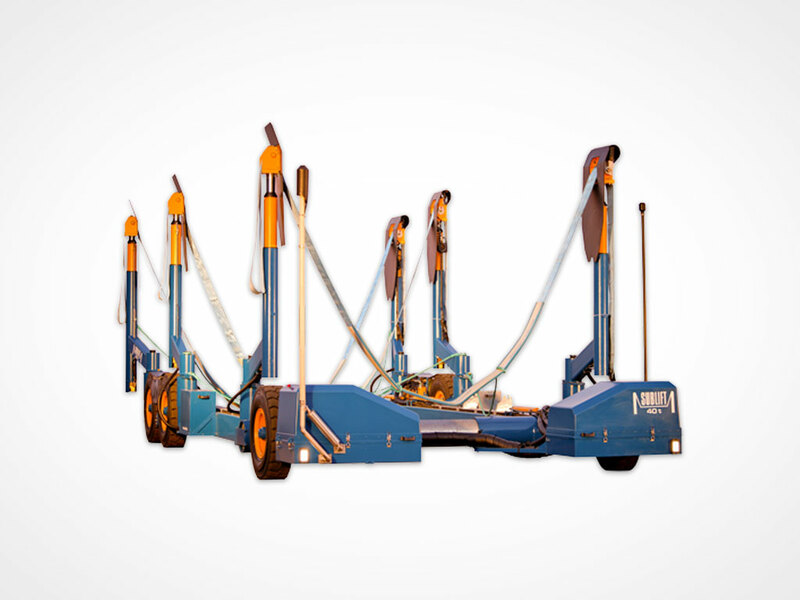 When using only two out of the three slings smaller boats up to 30 ton can be taken making the hoist truly flexible. Operation with the remote control is just as simple as on the smaller 12t and 25t SUBLIFT hoists. The aft boogies ensures that the weight is always evenly distributed over the wheel pair. 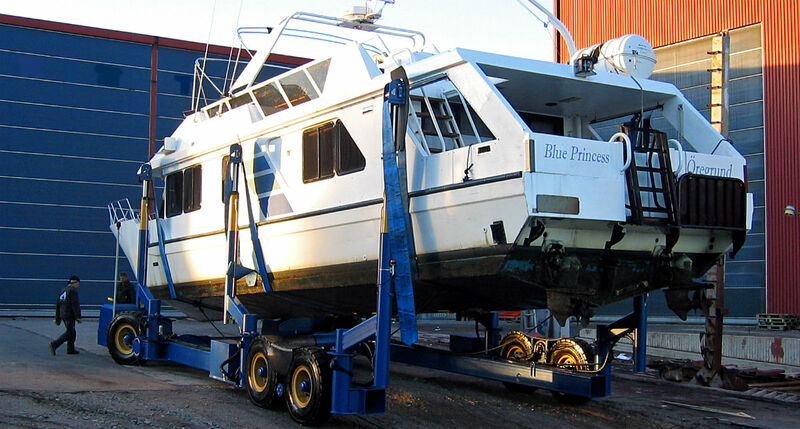 Boat weights up to 40 ton can be handled.